Note from Sara: We haven’t forgotten about you guys! With a wild, wild winter behind us, we are geared up for a super fun spring. Today, I’ve tapped Hillary to share with us some simple changes you can make in your space that will have a BIG impact on its overall design. Now with all the hibernating from winter melting away, if you are like me, you look around at your home and think, “man I wish I could change this up a bit!” Well, you can! 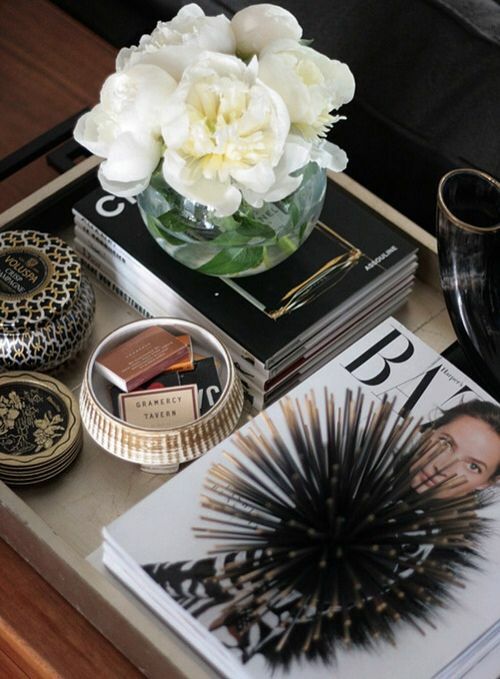 Here are some easy, simple updates that will make you love your space again! 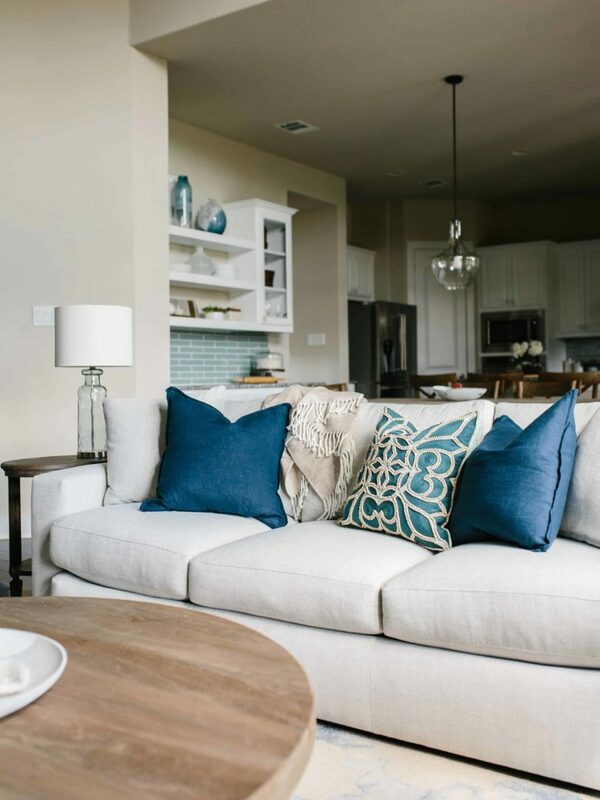 One easy way to make your living room or bedroom feel new are fresh is to add pillows and throw blankets. You don’t have to change your whole color scheme, but try adding a new pattern or texture in to the mix. 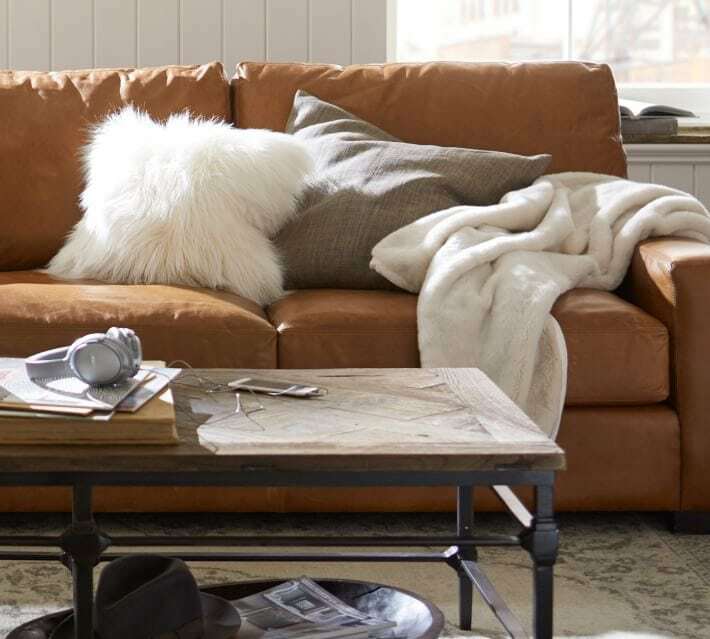 Toss a faux fur pillow on your accent chair or couch. 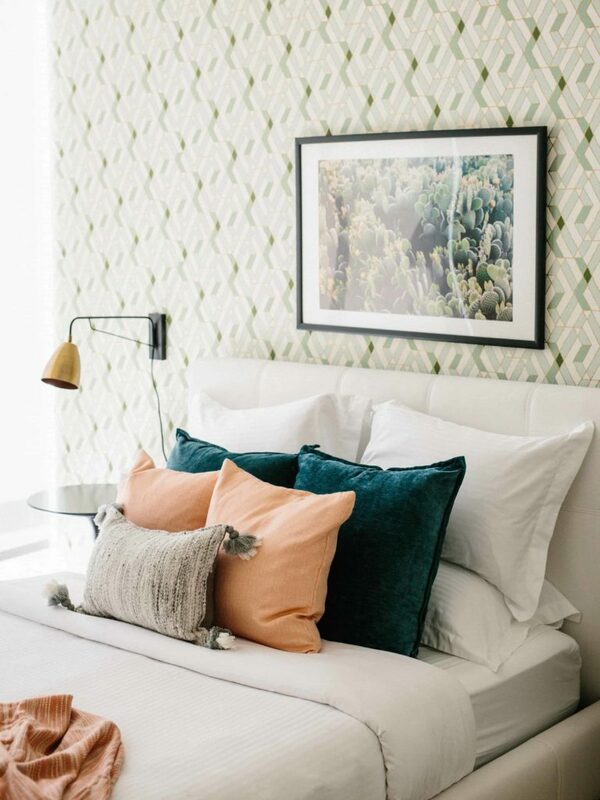 Here in Texas, we are basically halfway to summer which is a good time to try adding a new print or a pop of color with your pillows. There are so many fabulous lamps available currently. 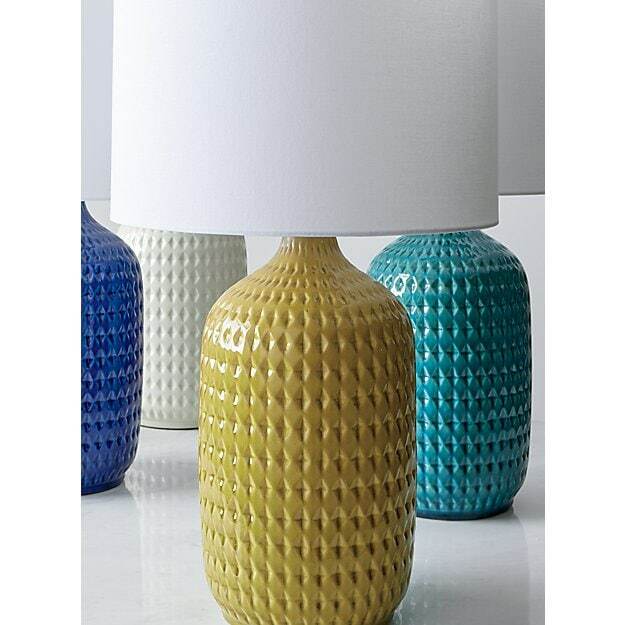 By changing out a drab lamp with one that has a vibrant base, you can transform any space and start creating a new vibe. Our very own fearless leader, Sara, just did this update to her own kitchen. 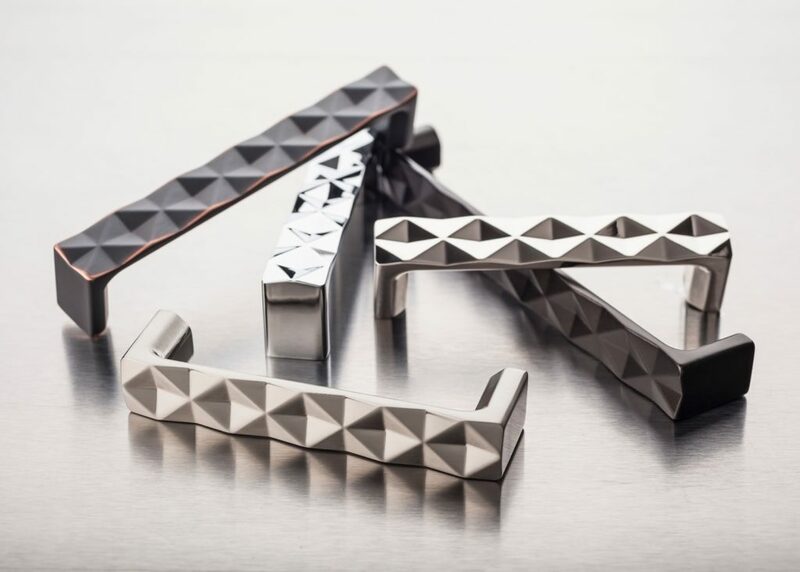 She changed her oil rubbed bronze barrel pulls for some matte black geometric pulls from Top Knob. This seemingly small change took less than an hour to do and makes such an impact in her kitchen and her marriage survived the project to boot! 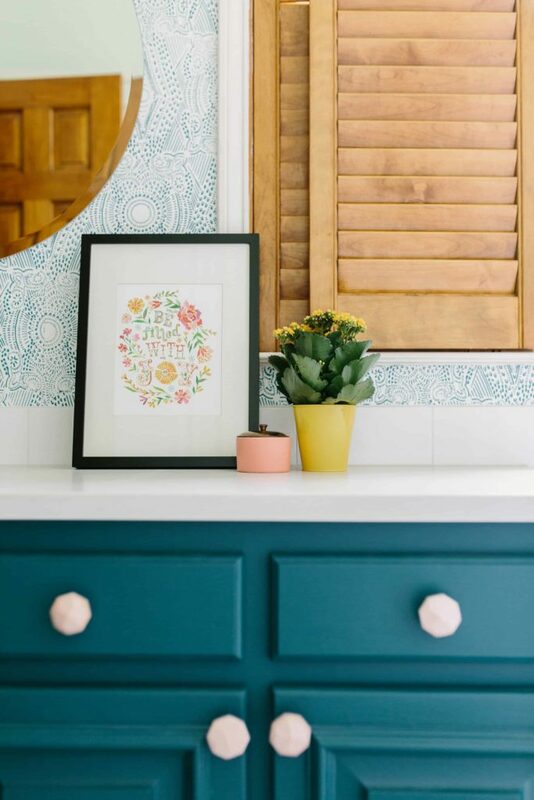 These fun stone knobs add the perfect finishing touch to this sweet and bright bathroom. Bringing in new colors and finishes is made less overwhelming with accessories. 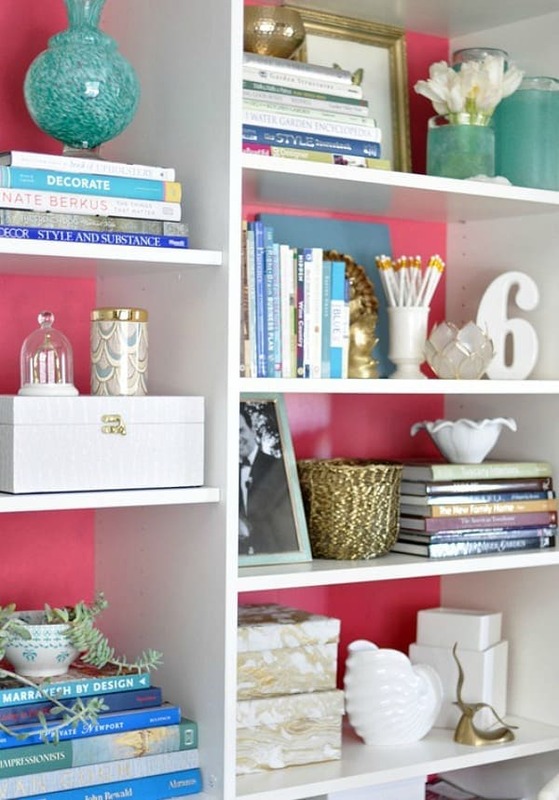 Try changing out some items on your bookshelves with pops of that color you have been dying to try out in your space or bring that little bit of brass that you have been eager to give a go in a vase or picture frame. However, don’t run out and buy a bunch of choochkies from a big box store. Try and use meaningful things that you haven’t even thought to use in the past. Maybe a little memento you got on your last family vacation placed onto of a stack of books or use a book to style your shelves from a place that is near and dear to you. Think outside the box! Just look how this coffee table set up included match books from fun places. 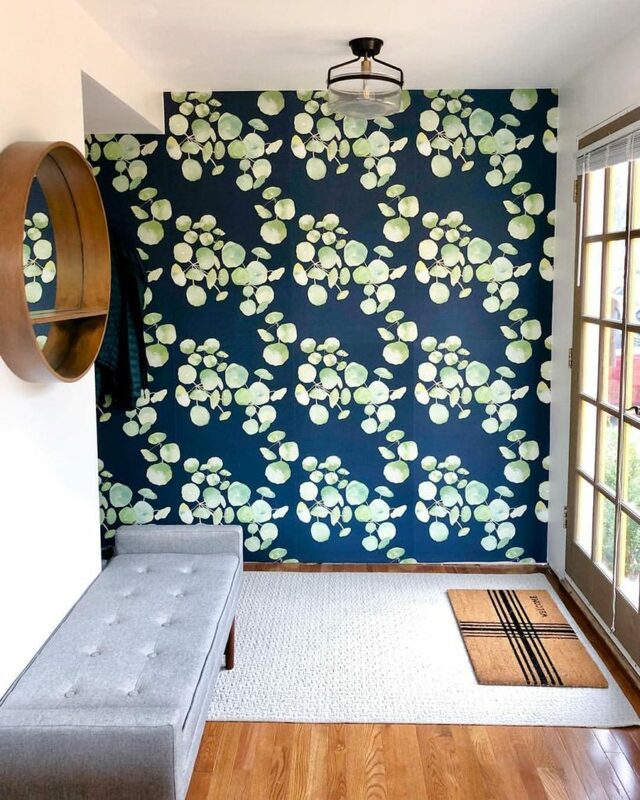 Last but not least, add a dramatic but simple change to any space with some peel and stick wallpaper. I have installed peel and stick myself… trust me, you can do it! The first piece is the most frustrating but then it gets easier and next thing you know you want to wallpaper your entire house! It is a simple process and will completely change your home! Now get going and try some of these tips in your home and start loving your space all over again!